The Latvian National Armed Forces (NAF) are ready for possible provocations during the West-2017 Russian-Belarusian military exercises, according to the Ministry of Defense of the country, Delfi reports. The publication notes that, although the Ministry received an invitation to send two observers from Latvia on August 2, this does not mean that the exercises will be open and transparent, according to Delfi. 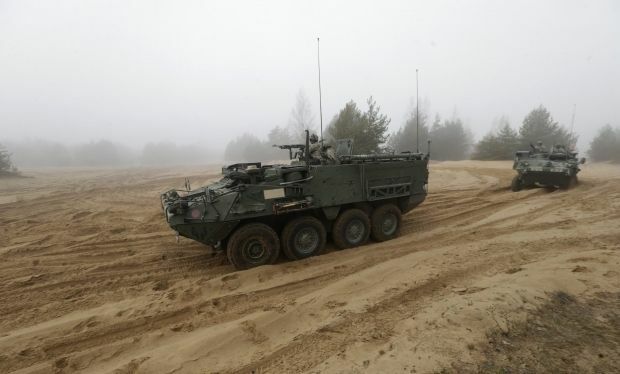 The commander of the Latvian National Armed Forces, Leonids Kalnins, and Defense Minister Raimonds Bergmanis have publicly reiterated their suggestion that provocations are possible during the exercises. Read alsoRussia’s drills near NATO border raise fears of aggression - NYTThe publication also reports that up to 12,700 military personnel are to participate in the drills. However, NATO officials believe that up to 100,000 people can take part in the exercises.